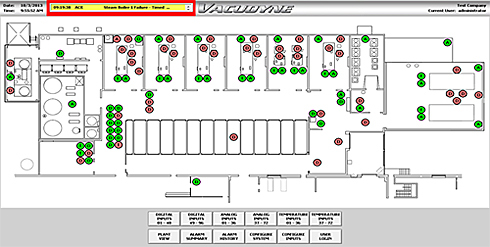 Engineering & Panel Building | Vacudyne Inc. Cost Effective Design: Vacudyne continuously evaluates the designs against cost targets to optimize system costs to deliver the most cost effective products. This ensures designs meet Vacudyne standard for functionality and reliability demands. Design for Manufacturability: Vacudyne utilizes design tools to verify manufacturability of your product early in the development process using 3D solid modeling, FEA Stress and model analysis, and PTC MathCAD for analytical analysis. This approach saves time and reduces development costs. 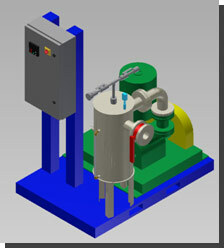 These tools improve the functionality of the systems and ensuring cost effective designs for ease of manufacturing.Research and Development: Vacudyne expertise in research and development with a focus on lowering the operating and output costs, improve quality and reliability to enhance our designs with innovative technical features. We provide comprehensive and innovative new product concepts and intellectual property development with a complete prototype development approach from concept to in-service testing.